Hello, Maria Lopez here. Joel has given me the floor today so I can tell you about a unique condo hotel I found that offers an opportunity to own beachfront property at an affordable price. When I was a kid growing up in Miami, one of the things I dreamed about was finding buried treasure on the beach. This property is probably the closest I’ll get to that kind of discovery. It’s a condo hotel in one of Florida’s West Coast towns known as none other than Treasure Island. Named for its early history of pirates, Indians, and yes, buried treasure, this barrier island community is about to see one of its first resort hotels convert to a condo hotel. I am pretty excited about this property because it’s one of the few condo hotels now available on the central Gulf Coast of Florida, a place a lot of you have been asking about. Finally, we have a property for you! 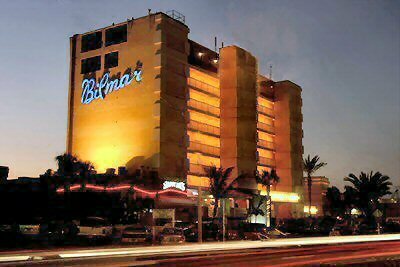 The Bilmar Beach Resort is a landmark property that has been a beachfront destination for more than 40 years. Operated as a successful hotel with only two different owners during that span, it recently underwent a $15 million-plus renovation and conversion to become an outstanding condo hotel. Actually, because of the scope of the renovations, perhaps “transformation” is a better word to use. Due to the extensive improvements , AAA has upgraded the rating to three diamonds. The Bilmar is situated on 550 feet of inviting beach. 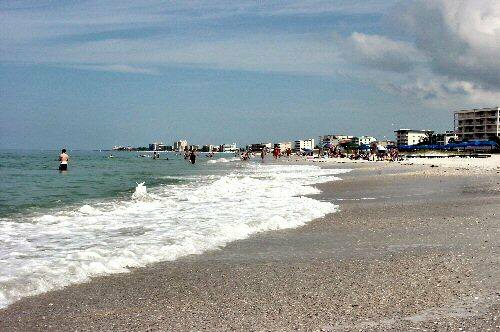 It is one of the widest beaches you’ll find in Florida. Picture a football field covered in white sand with the Gulf of Mexico in one end zone, and the Bilmar in the other. It has only 12 condos remaining consisting of the Carnary Palm floor plan in the The Palms eight story building. What makes this property unique is that virtually all of the condos face the beautiful Gulf of Mexico. 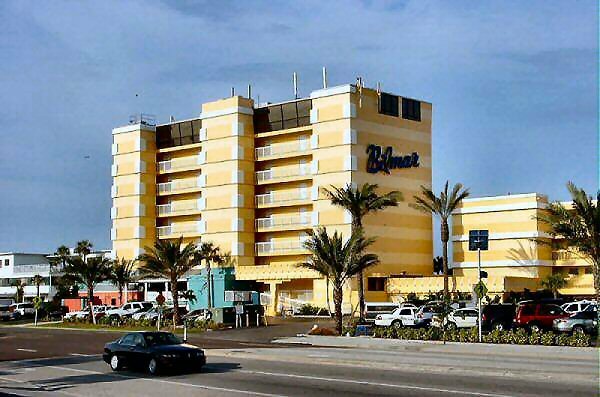 The Bilmar’s three yellow buildings have 550 feet of beautiful beach frontage which most of its rooms overlook. When this property was designed, the architect clearly knew the beach would be one of the Bilmar’s best selling features, and laid out the rooms to capitalize on the Gulf frontage and magnificent sunsets. The Bilmar’s pool overlooks the beach. As mentioned, the Bilmar underwent a total transformation. Renovations were completed in late 2006. As part of the renovations, all buildings were gutted, with extensive upgrades to every room including granite countertops, crown molding, high wind-resistant sliding glass doors, new fixtures and furnishings, and updated electrical and plumbing systems, HVAC, roofs, and elevators. The renovation was handled by Frazee, Inc. Established in 1976, this Atlanta-based company is an industry leader in interior renovation management. Its client list is a who’s-who of hospitality companies. Among the properties Frazee has renovated are many brand-name franchises including Marriott, Hyatt, DoubleTree, Radisson, Hilton, Sheraton, Crown Plaza, Peabody and W-Hotel. This Bilmar unit is decorated in the Beach Cottage decor. Sloppy Joe’s is operated under a licensing agreement with the world-famous Key West restaurant of the same name. This 7,700 square foot open air facility is located directly on the white sandy beach and has a spectacular outdoor deck from which you can watch the fantastic sunsets. The menu features daily specials, plus a variety of appetizers, entrees, sandwiches (including a giant signature Sloppy Joe sandwich), salads and pasta dishes. The restaurant and bar are open seven days a week for lunch and dinner. A popular Treasure Island landmark, Sloppy Joe’s attracts as many locals as it does visitors. Treasure Island is a peaceful island 3.5 miles long with a slow, gentle lifestyle. 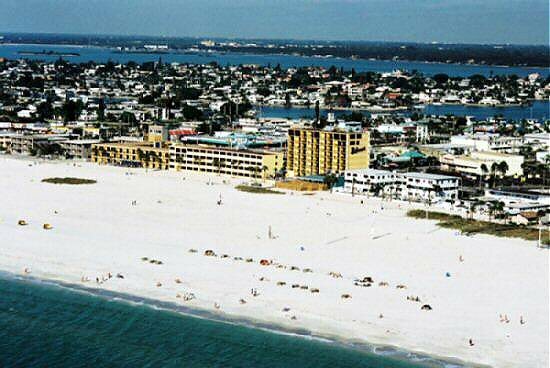 It is located between St. Pete Beach on the south and Clearwater Beach on the north. It is considered part of the Gulf Beaches. The ambiance at the Bilmar Beach Resort certainly deserves mention. You’re away from the hustle and bustle of nearby Clearwater Beach, but still close to everything. In fact, this is the closest beach hotel to the downtown St. Petersburg area and its many museums, fine dining restaurants, theaters, night life, the Pier, and Tropican, home of the Champion Tampa Bay Rays MLB . It’s peaceful — calming, relaxing, with the sounds of the Gulf the only background “noise” for miles around. Treasure Island beach is known as a gathering spot for kite flyers and sand castle builders, all of which contribute to the Old Florida charm of this town. One of the nicest things about the Bilmar Beach Resort is that you can park your car and never move it if you want. Downtown Treasure Island (and I use the term “downtown” loosely) is a quaint mix of restaurants and stores , including a first-of-its-kind, multi-level grocery store. Just follow all the pedestrian walkways around town. If you’re itching to go a little further, hop on a local trolley which can take you up and down the beachfront or connect you to other trolleys that go to Sand Key, Clearwater and St. Petersburg. Tyrone Mall, about 15 minutes away, is the area’s regional shopping center and has approximately 200 stores and restaurants. You’re just 1.5 miles to the area’s #1 attraction, world-famous John’s Pass. Once a commercial fishing village, it is now the site of trendy restaurants including new Bubba Gumps, small shops and businesses that cater to visitor activities like boat rentals, fishing excursions, parasailing and jet skiing. The beach is a short stroll away, and you can often see dolphins swimming in the distance. Downtowns don’t come much more picturesque than Pass-a-Grille, another little town just 15 minutes from the Bilmar. The friendly neighbors, the cute little craft stores, the public shuffleboard court – Pass-a-Grille’s charm delights you at every turn. Tarpon Springs – known as the Sponge Capital of the U.S.
One of the points that makes this property particularly appealing is that it is has operated for more than 40 years as a successful hotel. Tourism is very strong at the beaches, and properties like the Bilmar can actually expect to see an increase in their occupancy rates over the next few years. Why? Because so many hotels are converting to condominiums. This is a trend happening all over Florida, but nowhere is it more obvious than in Treasure Island. The Bilmar has a 40-year history operating as a successful hotel. Pictured above is the lobby/check-in. Another contributing factor to Bilmar’s high occupancy rates is its long history. Many of the people who now come to the hotel used to come here with their parents and even grandparents. This property has a large and loyal following. The Bilmar has only had two owners since it was built. The current owners, TI Resort, LLC, bought and have operated the property since 2000 and are the ones now converting it into a condo hotel. Principals of TI Resort have owned 14 hotels over the years, and currently own 12,000 multi-family apartment units and over two million sq. ft. of commercial and office space. Forbes-Hamilton Management Company, the onsite property manager of the resort, was founded in 1986 and manages hotels and resorts along the east coast. The corporate team of Forbes Hamilton Management Company (FHMC) has over 85 combined years of experience in resort and property management, and manages franchised properties for InterContinental Corporation, Choice Hotels and Best Western. Tom Johnsen, President of FHMC, personally oversees the Bilmar to ensure guest service standards are delivered at the highest level. The combined experience and knowledge of the entire FHMC team affords the Bilmar with support in all areas from the implementation of ‘state of the art” systems providing the owners and management with timely information to make timely decisions to the recruitment and hiring of key members of the management team. The Corporate Director of Sales & Marketing works hand-in-hand with the property’s sales and marketing team assisting with the development and implementation of the annual marketing plan. The Corporate Controller is responsible for the preparation of financial reports and the operation of all financial systems. For more information on Forbes Hamilton Management Co. we invite you to visit our website at www.fhhotels.com. To go to contract requires a 20% deposit . Closing can take place within about 30 days. Prices The Bilmar Beach Resort has a wide variety of condos to choose from on the 4th thorough the 7th floors. All of the condos directly face the Gulf and overlook the beach front pool. We can send you a data sheet with more specific pricing information and property details upon request. To receive it, you must provide us with your full contact information in accordance with the developer’s requirements. Request for Bilmar data sheet here. Treasure Island is a town of about 7,500 full-time residents. The motels that were there are gradually disappearing, especially in the last couple years. Today, there is a surge of contemporary style and modern accommodations. The Bilmar Beach Resort is certainly at the forefront of this renaissance as a turnkey condo hotel. If you’re looking for hassle-free ownership, getting good value for your money, a superb beachfront location on the Gulf of Mexico, a full array of amenities, and ownership and management that is proven and hands-on, well then the Bilmar Beach Resort is a real treasure. As always, thank you for your interest in our Property Alerts. If you enjoyed this article, please feel free to forward it to colleagues and friends and have them subscribe for themselves on our website www.CondoHotelCenter.com. Once again, to see a detailed data sheet on the Bilmar Beach Resort, supply your contact information here.